A planning application will be submitted shortly. 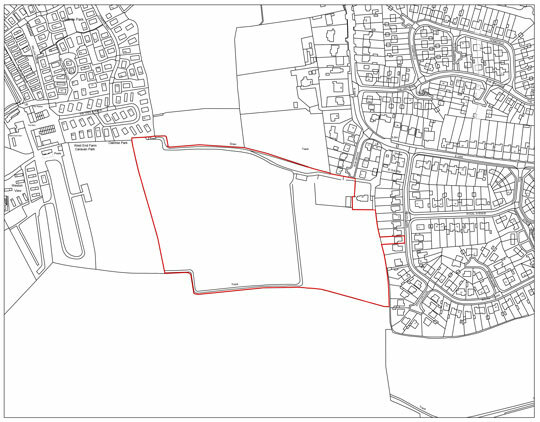 Gladman Developments is proposing a residential development of approximately 110 new homes plus public open space with recreational facilities on land off Elm Grove, Locking. A public consultation leaflet was distributed in late February 2018 to approximately 365 households and businesses in Locking. 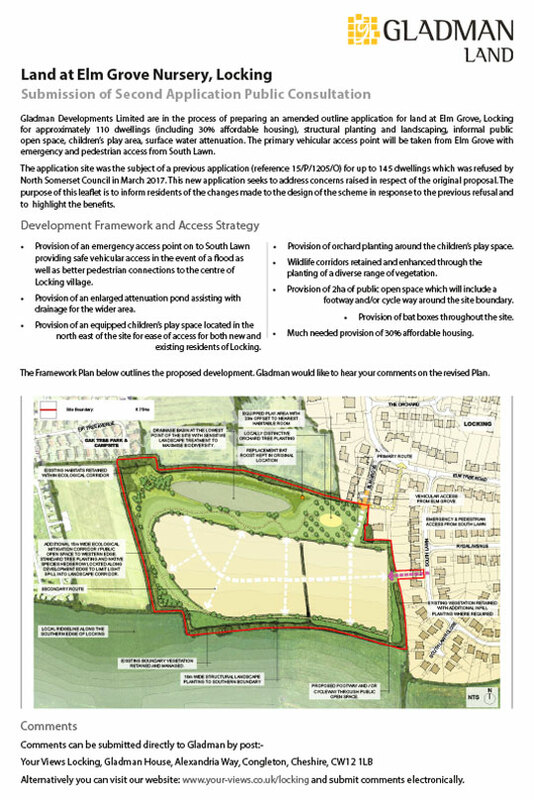 As part of Gladman's commitment to engage with local communities, leaflets outlining the development principles and seeking comments have been distributed in late February 2018 to approximately 365 households and businesses in Locking. All public comments received during the consultation process will be considered. 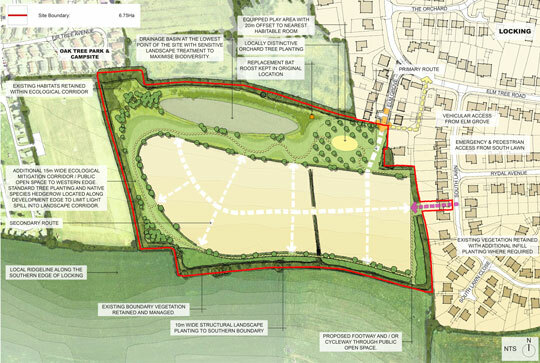 An outline planning application will be submitted in due course to North Somerset Council which will include a Statement of Community Involvement (SCI). 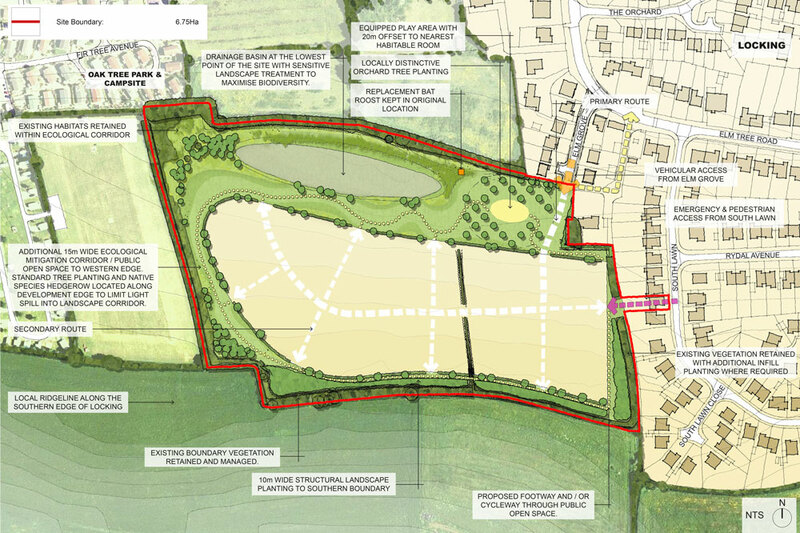 The Outline Planning Application was validated by North Somerset Council on 12 March 2018. The target determination Date for this application is 11 June 2018.